Choosing the best sites for genealogy research in Northern Ireland is tricky because so many websites relevant to research in the Republic of Ireland are equally relevant north of the border. For clarity's sake, therefore, I chose a handful of databases that specifically target Northern Ireland genealogy research and would suggest that anyone tracing Irish ancestry in the six counties also takes a look at my other lists of (both free and pay-to-view) online resources. There are links to those lists at the bottom of the page, under the heading Related Pages. Each of the websites or databases below has earned its place in this short list by offering free access to a good proportion, if not all, of their information. The sites are listed here in alphabetical order. Ancestry Ireland is the site of the Ulster Historical Foundation, one of the major genealogical research agencies, family history publishers and education providers operating in Northern Ireland. The company is based in Belfast. 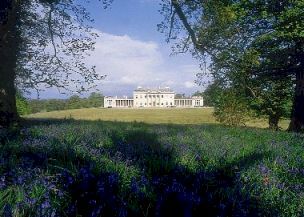 Castle Coole is a magnificent neo-classical house located near Enniskillen, Co. Fermanagh. The organisation specialises in undertaking Irish and Scots-Irish research and runs both study programmes and a membership association called the Ulster Historical and Genealogical Guild. 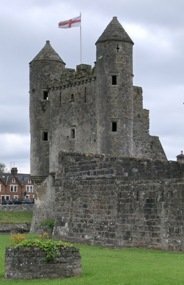 The Records section of AncestryIreland offers a good number of items of genealogical interest. Among these are detailed civil parish maps and lists of townlands per county, a small selection of ebooks, and a searchable database containing birth, marriage and death records, plus gravestone inscriptions, street directories and much more. There are also a handful of free to search and view collections. All manner of records can be found within Eddie's Extracts. As its name suggests, it's a collection of records that Eddie (Connolly) has extracted from a number of sources, principally newspapers. 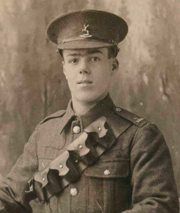 These include notices of births, marriages and deaths; rolls of honour (war dead), court reports, inquests and books. It's particularly strong on Presbyterian records, but really, anyone carrying out genealogy in Northern Ireland ought to take a good look at Eddie's collection. And it's all free, too. 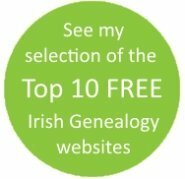 Emerald Ancestors is a subscription-only site specialising in Northern Ireland genealogy records. Its database includes a selection of parish baptism registers covering the period 1796 to 1924, and parish marriage registers from 1823 to 1901 for the six counties that now make up Northern Ireland. The death records collection is made up of graveyard inscriptions, burial registers and a comprehensive index from the Irish Wills Calendars for the six counties plus Donegal, Louth and Monaghan. In addition, it holds extracts from the 1841 and 1851 Irish census as well as 'church censuses' and school registers. A good overview of its holdings can be found here. Having refreshed the site with a new look at the end of July 2017, the website now offers a number of free resources, a family tree builder and, for members only, a library of free downloadable ebooks. A one-month subscription costs £9.99, six months £24.99; one year £39.99 (as at January 2019). At the end of March 2014, the General Register Office of Northern Ireland (GRONI) launched its online family history service. While this is free to search and some researchers will find some of the details returned by the free search to be useful, most people will need to access additional information for which they must pay by credit/debit card. Fortunately, the fee structure is quite bearable. 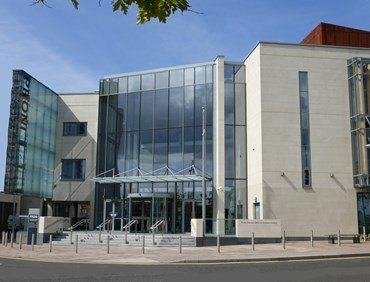 Established in 1923 following the partition of the island into the Republic of Ireland and Northern Ireland, the Public Record Office of Northern Ireland (PRONI) is the official repository for public records for the six counties of Antrim, Armagh, LondonDerry, Down, Fermanagh and Tyrone. This free site offers databases containing details of those who signed the Ulster Covenant (1912), records of pre-1840 Freeholders, street directories 1819-1900, Will calenders 1858-1965, and more than 93,000 transcribed wills. It also provides free online access to the Revision/Cancelled Books which continued the work of Griffith's Valuation from the mid 19th century to the 1930s, and an excellent historical maps viewer. See PRONI's menu of free databases. You can also download several very useful guidance leaflets specific to Northern Ireland genealogy and local history research, such as the Church Records leaflet (3) which provides an overview of the microfilms or paper records available at PRONI for each denomination and for which years. Also at PRONI, but only for personal visitors, are computer terminals that link to the full GRONI database. The latter allows (pay to view) access to both the historical and current birth, marriage and death civil records. While the business of much of the Ulster Ancestry site is to target potential paying customers, it also has a large and very useful selection of free databases. These include muster rolls (dating back to 1631), local directories, gravestone inscription, clergy lists, some marriage records and a significant number of ship passenger lists. Fascinating stuff. And the site owner is to be applauded for placing it online for free access. Although the ebook of the Belfast and Ulster Directory for 1852 has to be purchased, the more recent edition, published in 1910, can be searched freely from this page. A list of 160 towns is linked to individual pages giving brief details of the town (market day, number of inhabitants), information about post office officials and local places of worship (and their clergy), plus a list of adult inhabitants, their occupations and, in some instances, their address. This directory is unlike most others published before it, which tended to list only gentry, local officials and tradespeople. Although much of the information about individuals is now freely available on the 1911 census, the different format (plus additional information about the 'social structure' of each community) means this database remains a useful addition to Northern Ireland's genealogy resources. If you root around the site, you'll find it also has some pedigrees and a good range of 1862 Directories for Ulster and the Republic - and all free. Don't limit your family history research to sites that are dedicated purely to Northern Ireland. 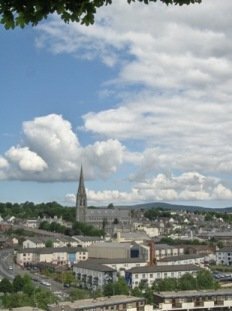 Genealogy records for Counties Antrim, Armagh, Derry-Londonderry, Down, Fermanagh and Tyrone are also held in the Republic. See an overview map of Northern Ireland from 1848. An overview map of Northern Ireland dating from 1848. Did your Northern Irish ancestors serve in the military? For many Irishmen, the British Army offered an escape from the drudgery of poverty with a bit of adventure thrown in for good measure. At some points of the 19th century, about one-third of the British Army was made up of men from Ireland, so don't ignore this important avenue when searching for ancestors from Northern Ireland. Ancestry - WW1 service and pension records, medal roll cards, casualties of the Boer War, and more. Although it no longer appears to be being maintained or further developed, the Belfam web site contains an excellent photo gallery and other details of life in Edwardian Belfast which will be of interest to anyone with connections to the city. If your research in Northern Ireland's genealogy collections has revealed ancestors who worked in the cloth industry, you'll be interested to know how Irish linen was made and how the trade developed into such a major employer. 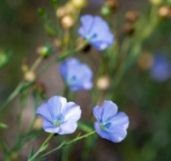 Find out how the flax plant is transformed into this world-famous lustrous cloth and how the linen trade became such an important part of the landscape, especially in Ulster. Did all the Irish records burn? The short answer to the question iis No, but the truth is a bit more complicated, because much of Ireland's genealogical heritage did, indeed, go up in flames at the Public Records Office in 1922. The truth about that fire.